In recent times, ex-health secretary Alan Milburn has rarely been mentioned without the label of Blair "outrider" - accused of doing the hard, or dirty, work for his boss Tony Blair. Along with fellow former Cabinet colleague Stephen Byers, the pair's names regularly appear in defence of the prime minister, while at the same time linked with criticism of Chancellor Gordon Brown. Although he has yet to signal an interest in succeeding Mr Blair, there have been growing suggestions that he will stand. Sacked ex-home secretary Charles Clarke, who accused Chancellor Gordon Brown of being "deluded", has suggested Mr Milburn is "leadership material". And Mr Milburn has begun a series of prominent speeches outlining his views on where Labour should go over the next decade, and calling for people to be given chances "at every stage" of life to end a "power gap in society". His speeches suggest he wants Labour to be more, rather than less, New Labour. An example is his argument for tax breaks would allow more voters to own property and shares. Mr Milburn's decision to leave the Cabinet in 2003, saying he wanted to spend more time with his family, was a big political surprise. He was one of the prime minister's most energetic ministers, and was regarded in Westminster as highly ambitious. There had been speculation that he wanted to leave the health department and move to a new role within the Cabinet. But he quit the government saying he was finding it difficult to balance his political work with raising a young family - he has two sons - in the north east, and he had spent 12 months discussing the situation with his partner, Ruth. However, he has never strayed far from frontline politics, or indeed, controversy. He came back to handle Labour's 2005 general election campaign - which led to tensions with Chancellor Gordon Brown who traditionally looked after such things. Indeed once the campaign started it was Mr Brown at whose side Mr Blair appeared on a daily basis. But tensions and suspicions remained about the Brown camp and earlier this year, Mr Milburn and Mr Byers publicly criticised elements of Chancellor Gordon Brown's Budget. Mr Milburn was born on 27 January 1958 and educated at John Marlay School, Newcastle, and Stokesley comprehensive in Cleveland, before going to read history at Lancaster University. Raised by a single mother, he cut his political teeth fighting for shipbuilding and steel jobs on Tyneside and a raft of other campaigns. He worked in a Marxist bookshop called Days of Hope for £20 a week and was a CND activist. He ran the campaign to save Sunderland's shipyards and is a past president of the Union for Manufacturing, Science and Finance in the north east. 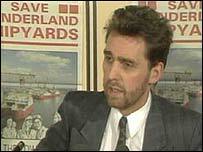 Mr Milburn decided to join the Labour Party in 1983, becoming MP for Darlington in 1992. He rose swiftly once Labour came to power in 1997, first as a junior health minister and then, briefly chief secretary to the Treasury. 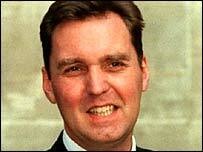 He was promoted to become health secretary following Frank Dobson's resignation in 1999. He had a bruising battle with Mr Brown over the controversial foundation hospitals plan. The chancellor opposed the moves and Tony Blair had to intervene in the clash between him and Mr Milburn. And the health secretary took a lot of flak over the proposals. There was concern in the Labour rank and file that the foundation hospital proposals will create a two-tier health service. His return to the back benches after the successful 2005 election campaign appeared to have been cemented when he accepted a £30,000 consultancy with Bridgepoint Capital, an investment firm, a move which drew criticism from some on the left of the party.